Refresh the visual feel and look. The Library of the University of California, Los Angeles is among the top 10 academic research libraries in North America and has in its collection over eight million books and 70,000 serials. 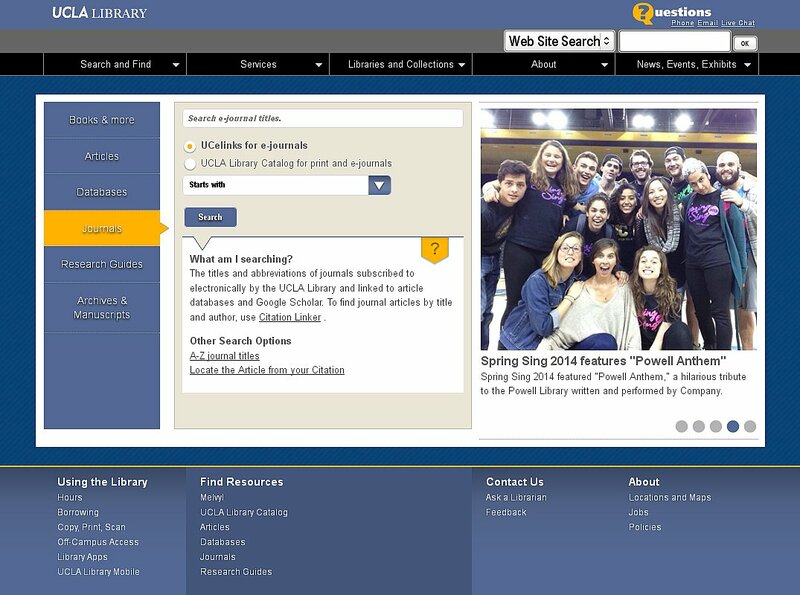 The UCLA Library System is spread over 12 libraries, 12 other archives, reading rooms, research centers and the Southern Regional Library Facility, which serves as a remote storage facility for southern UC campuses. It is among the top 15 largest library systems in the United States and its annual budget allocates $10 Million for the procurement of digital and print material. 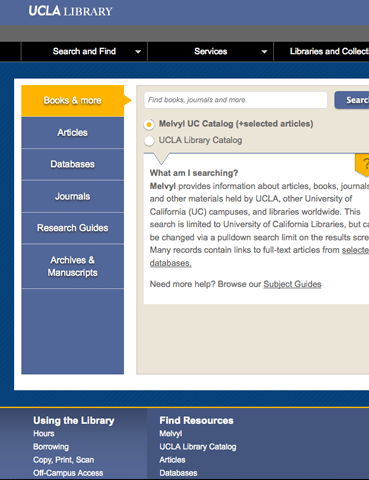 It is a Federal Depository Library, California State Depository Library, and United Nations Depository Library. Project done on behalf of Exaltation of Larks & Ubertus. All rights reserved by Exaltation of Larks. This projects involved multiple contributors. Contact us to learn more about our involvement with this project.